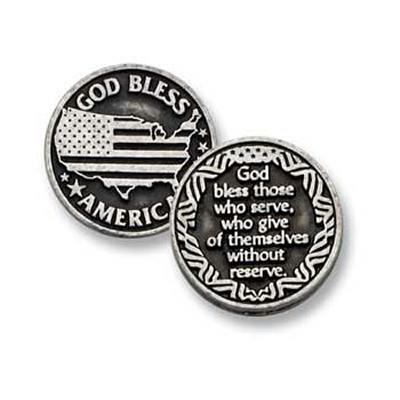 God Bless America pocket token measures approx. 1" and is made of lead free zinc. American Flag adorns the front while the back reads: God bless those who serve, who gave of themselves without reserve.